April is here! WooHoo! And hard on its heels will be the wedding season in full swing. 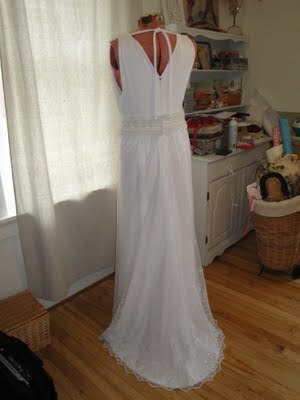 In honor of that I thought I’d bring you a post from the archives – a wedding dress I made 2 years ago. Start to finish. It was so fun to see this come together. 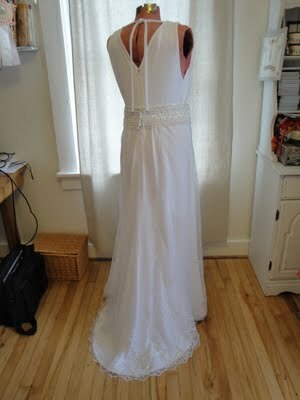 And the bride looked adorable in it too:) That’s always a good thing. 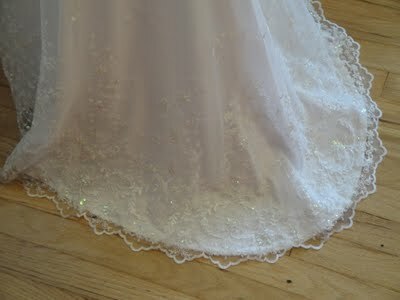 Skirt gets covered with this gorgeous stuff. 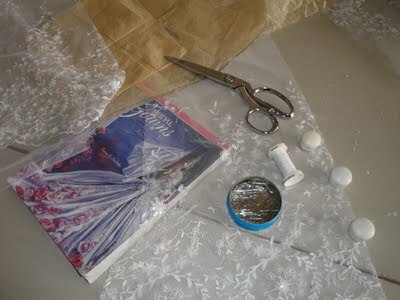 This book is a wedding seamstress’ best friend. These gathers were so beautiful! 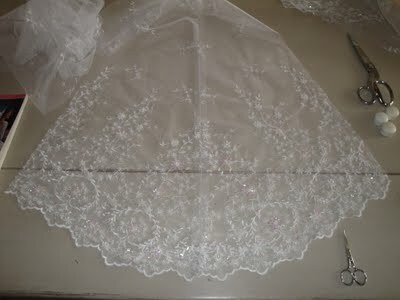 So pretty and delicate. 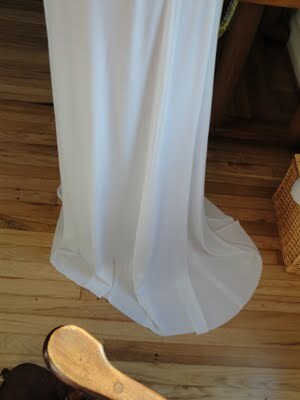 Loved the way this fabric draped. 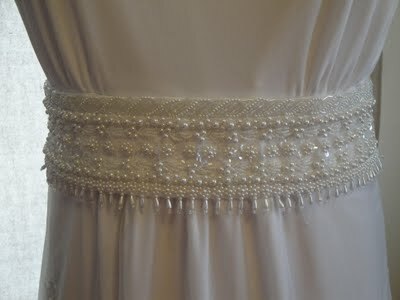 And the crowning touch was this absolutely gorgeous belt the bride picked. Yes all those rows of beads are sewn on by hand. 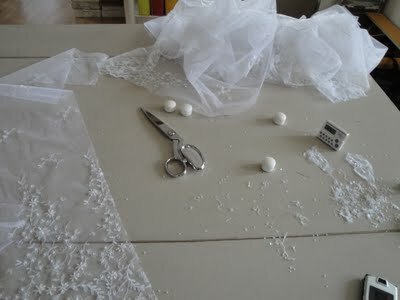 But the beads were pre-attached to rows of reinforcing so it’s not like I had to sew EACH SINGLE bead on. 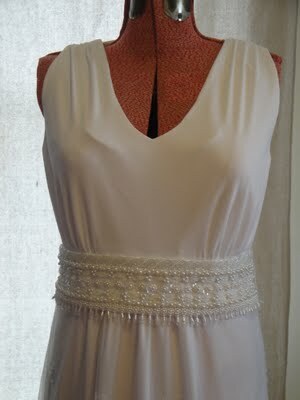 Just the 7 strips of beading. And yes I enjoyed doing it. 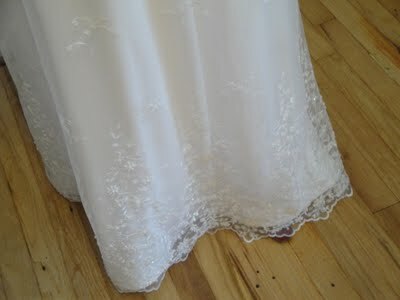 SO fun to see the finished product:) All hemmed and ready to go. « Up From the Grave!!! Very pretty. Who was it for? 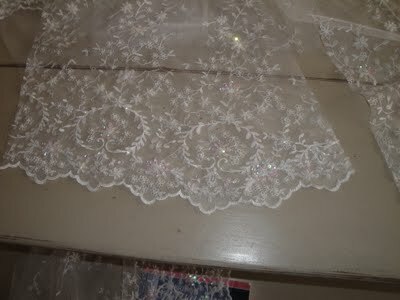 wow—the lace is pretty too!!! wow jill….i am always amazed at your truly God-given talent! 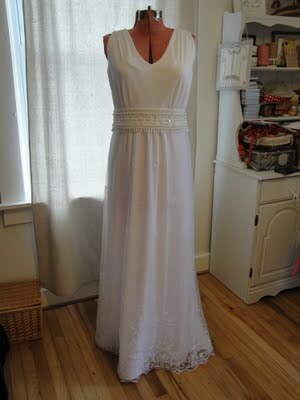 Such a gorgeous gown Jill. You are very talented. 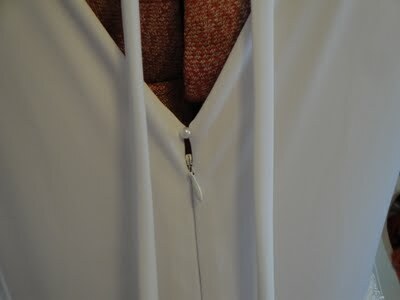 I can sew a straight line and that's about it!!! what is that book?? I can't read the title..
What is the book’s title, that you refer to? 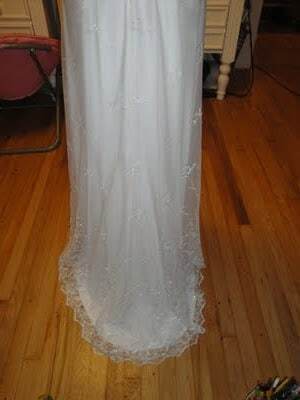 I updated my mom’s wedding dress to wear in 1974 and now my daughter is getting married so I will be updating that same gown. Looking for tips of the trade….can you share the name of the book? Thanks! You always amaze me! Are we really sisters? 😉 I’m always so thankful I don’t have to make wedding dresses, but so glad you enjoy it and are so talented at stitching!! Yes we are sisters 🙂 Just with different things we enjoy! I can’t bake yummy stuff like you can – why don’t you come be my cook and I will sew for you?! you.are.amazing!!!! That is absolutely gorgeous! What a beautiful talent the Lord has blessed you with! Thank you Jennifer! The glory is definitely the Lord’s! 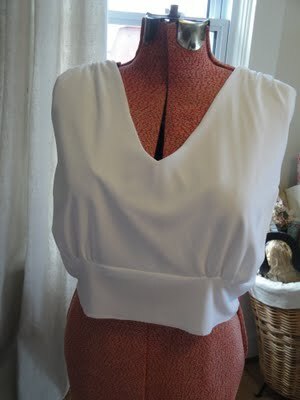 I just do what I love and He has blessed me with the ability to sew and create! 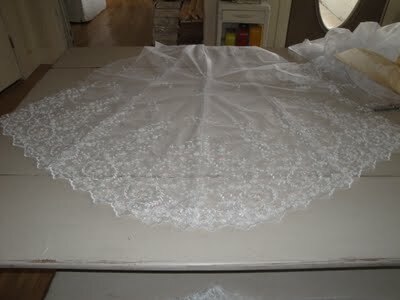 Thanks Diana, it was lovely on the bride too! Beautiful, Jill! Just stunning! You did a lovely job! Thank You Heather! We had a lovely day – hope yours was wonderful too! Jill this is so beautiful! 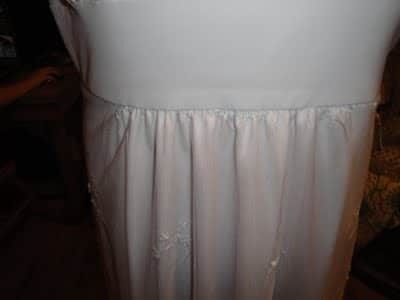 I didn’t realize you sew wedding dresses, but I should’ve guessed, what don’t you sew? haha. I would have loved to seen it on the bride. Did you get photos? You would be fun to sew for Susan! It’s stunning! 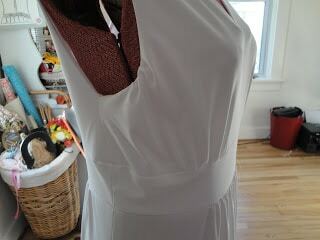 Oh how I wish I could sew! What a beautiful dress, Jill. 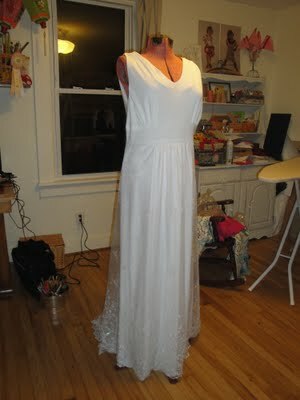 I cannot believe you can make a wedding gown. Such talent, my friend. 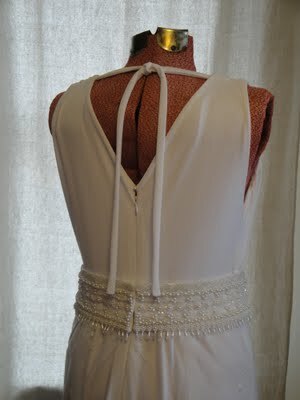 Thanks Amy – this was a really fun wedding dress to create! Gosh, you are so unbelievably talented! Awww, Amy, I just do what I love to do! How perfect that you share your amazing skills with others on such a special day like that. 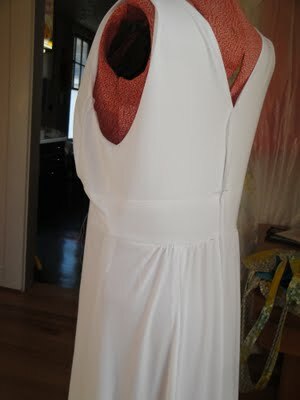 Are you making dresses this wedding season or taking photos, or both? 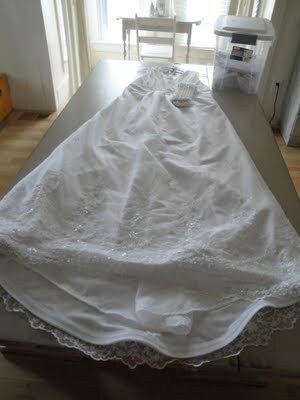 This wedding dress is just the most beautiful dress! You can be proud of yourself. Isn’t it strange how sometimes simpler things are the prettiest!! I love the dress. 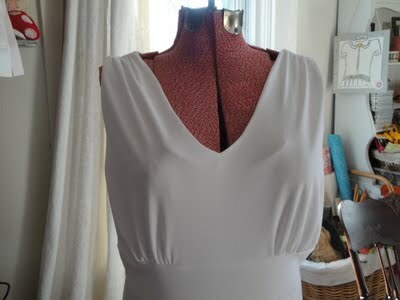 It inspires me to make a dress for myself using your beautiful waist treatment. Luv, luv, luv it! Thank you doris! I hope you make yourself something really fun using this idea! I love this dress! How fun to see how it was all put together. Your talents never end!